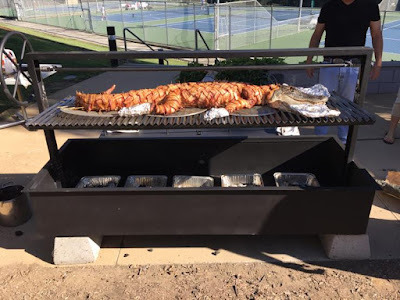 I make a lot of grills for chefs, but sometimes the customer is not a chef, and he does an extremely credible job. Here is an example. First, subdue one alligator. 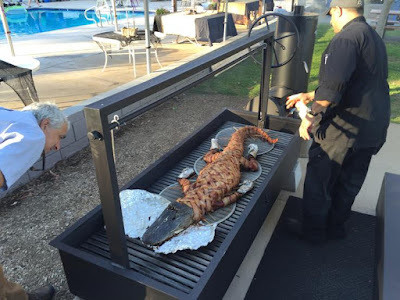 Please, do not skip this step, otherwise, the gator will bite the grillmaster, jump of the grill, and wreck your party. 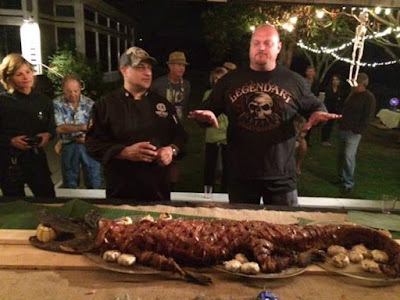 'Splain to the gator that you are above the food chain, and that he is dinner. This is an 84" Wide Santa Maria Grill with an Argentine Grill Grate and a Smoker Box. Stuff the gator with andouille sausage and wrap him in woven strips of bacon. Secure with wooden skewers. 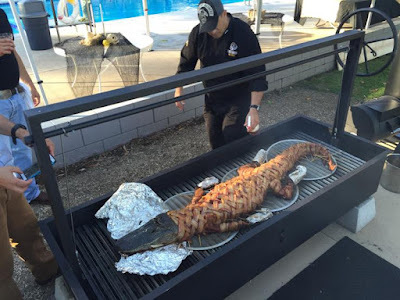 Cover the gator with a big steel box to keep the heat in, and use a small, small fire. 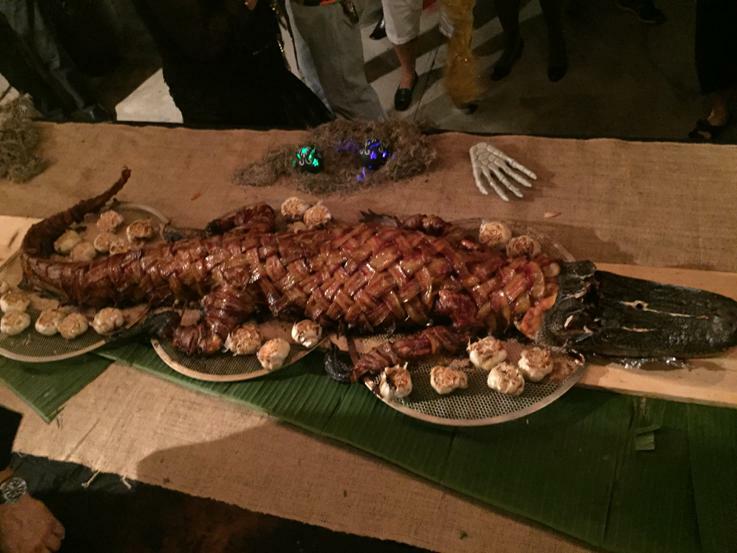 Remember that, at best, a gator tastes like chicken, but overcook him, and he will taste like your shoe. Roast gator with a large quantity of garlic heads, and garnish with a nice gourd in his mouth. Serve to a delighted crowd.